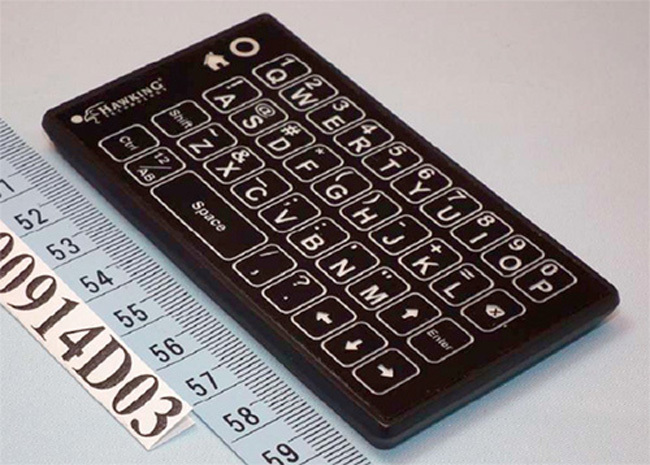 Check out this tiny 9.5 cm long touchpad keyboard created by Hawking Technology. The tiny input device is currently making its way through the FCC. The keyboard connects to your computer via a 2.4GHz wireless dongle. To use the device as a touchpad, just push the “O” button near the top right of the device. In this mode, the devices keys don’t work, instead the entire surface of the device converts into a trackpad that recognises 1 and 2 finger gestures. The QWERTY keyboard is also equipped with a backlit function allowing you to use it in the dark.